What does #TheDress sound like to a synaesthetic cyborg? The world was abuzz with talk of seemingly magical color changing dress that was causing marriages to fall apart, friendships to be shattered, and consumed most of the global Internet bandwidth. It also caused a stir and some general consternation among cognitive and neuroscientists trying to figure out exactly what caused the mysterious color changing effect. While I suppressed the temptation to do a quick histogram analysis of the dress image, WIRED published what is probably the definitive take on the story. If somehow you don’t know about it, read their piece first. The dress raises some interesting questions about how we perceive the world. And I wondered about how a sensory enhancement might resolve the issue of what colors things like the dress really are. 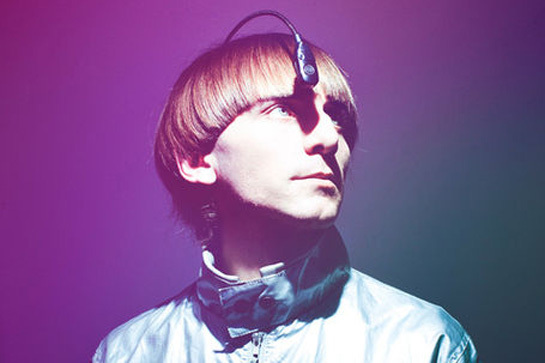 Neil Harbisson is an artist and the first person to be officially recognized as a cyborg by a world government. He is best known for creating the first cyborg antenna and for being the first person in the world to have such an antenna implanted permanently into his head. The device allows him to perceive visible and invisible colors including infrared and ultraviolet into sound frequencies which he perceives via the device. Doctors wouldn’t perform the required surgery openly and Neil had to had the procedure done in secret. Naturally I wondered if Neil could shed any light on the controversy of #TheDress and as it turns out he had already commented via his Twitter feed. Ok, being on the wrong side of the pond I had no idea what Neil was talking about there with the BBC reference and I imagine some of my readers won’t either. So I found this clip to share with you. But I have to admit that after listening I am still not sure I have a better idea of what #TheDress actually sounds like to Neil.